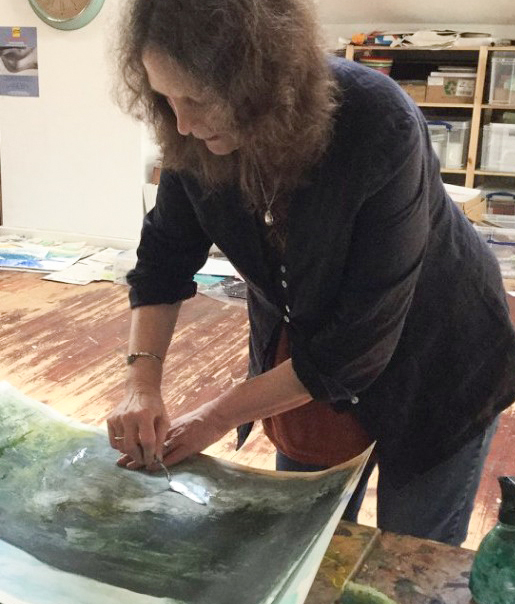 The President of Leicester Society of Artists has a paintbrush in his hand. 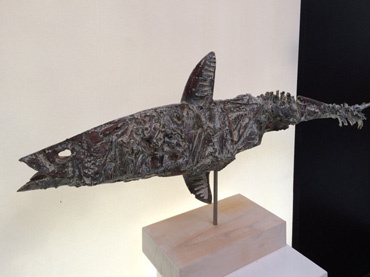 Is Lars Tharp aiming to produce an entry for the LSA Annual Show? No: he and his wife, Gillian, are busy redecorating the sitting room of their Leicester home. . . 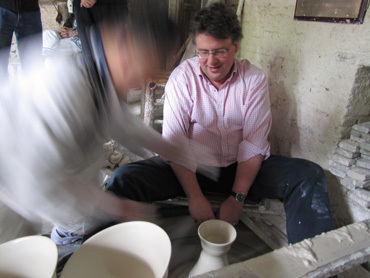 I caught Lars on one of the rare free days of domestic relaxation he can enjoy: mostly being a free lance lecturer, consultant in ceramics, cultural tourist operator in both the Far East and in Europe, means he spends a good deal of time away from his home town. 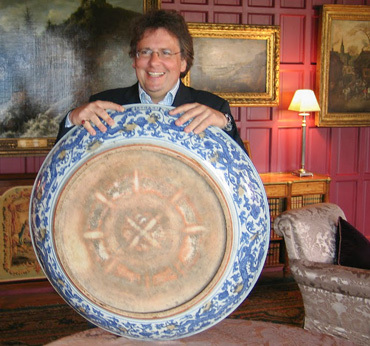 Most recently he has been in Dresden, conducting a group round the Meissen factory, which, he points out, was the first porcelain factory in Europe, established in 1710. 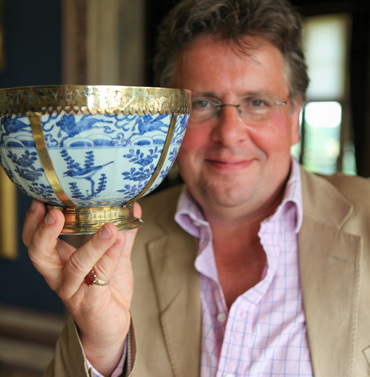 He also spends time in China, Chinese porcelain being his particular area of specialisation, as his many fans among viewers of The Antiques Roadshow will know. He has been a Roadshow star for 30 years and loves it still. “Early on, I think none of us would have predicted it would still be running – it is now almost 40 years old – but it has become a national treasure. Lars is a man of many talents and interests. The author of several books, he is a broadcaster on both radio and TV, and as a museum director has curated several important exhibitions. Among other things he was a Trustee of the Royal Worcester museum and was on the steering committee of York museum’s recently re-opened ceramics collection which is short listed for this year’s Annual Art Fund Museums’ prize, founder President of the Hogarth Group, former vice chairman of the Hogarth Trust, and currently Ambassador for the Foundling Museum. He championed the handing over to the National Trust of Stoneywell, one of several Leicestershire houses designed by Ernest Gimson. He sings with the Bach choir, has an honorary degree from De Montfort University where he spent a year as visiting Professor, and this July receives a D.Litt from the University of Leicester. Born in Copenhagen in 1954, he came to England when he was six years old. At eight he began playing the cello and later turned down an opportunity to have lessons with Paul Tortellier, but played with the Leicestershire Schools Orchestra and the Leicester Symphony Orchestra. 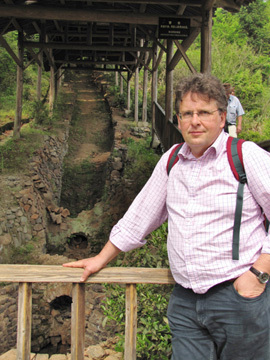 When he left Wyggeston School for Gonville and Caius College in Cambridge to study Archaeology, he played cello with the University Orchestra too. He was there for 16 years, ultimately becoming an auctioneer and also a director in 1983. Later he became the Director of the Foundling Museum in London. 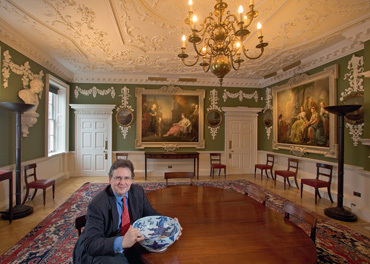 In 2010 he switched to becoming its Hogarth Curator and still waxes lyrical about the Foundling Hospital, the vision of its creator, Thomas Coram, and of course its connections with his own hero William Hogarth. The Foundling remains a popular subject among his talks and lectures and he is also involved with the making of a film about Coram. “The director already has an Oscar to his name and has asked me to be an executive producer. We aim to launch the film before 2019. I even have a small part in it!" It was the Hogarth connection which made the Foundling museum his dream job. 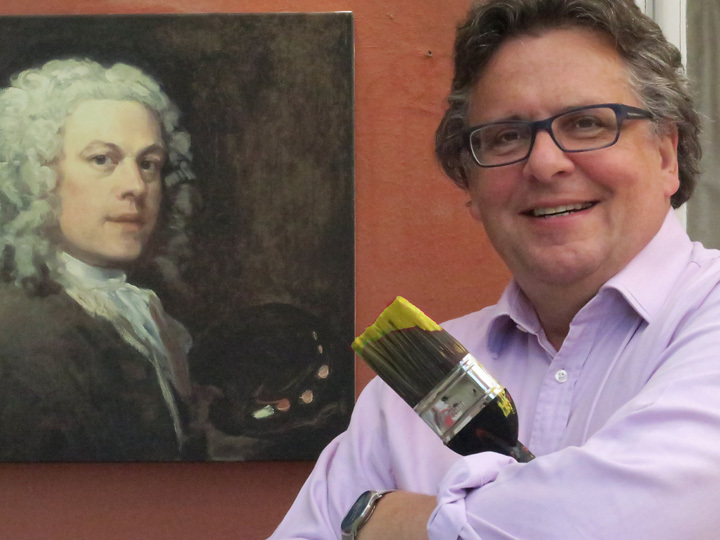 He explains: “Hogarth was a great supporter of the Foundling Hospital from the outset. 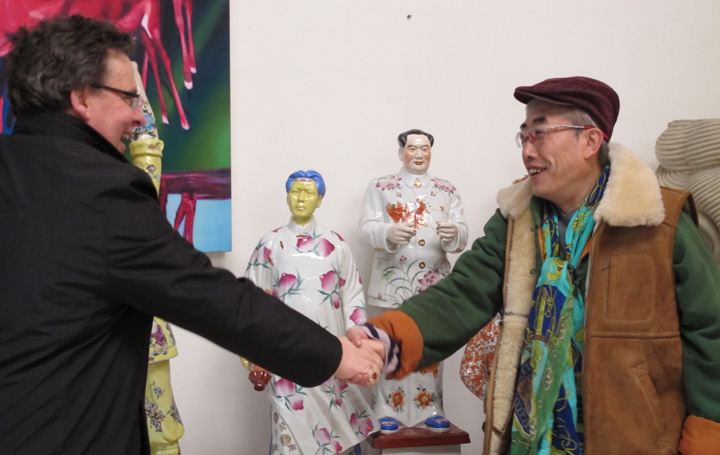 He donated and displayed three of his own works there and persuaded his artist friends to do the same. In effect he made it the first public art gallery in London. 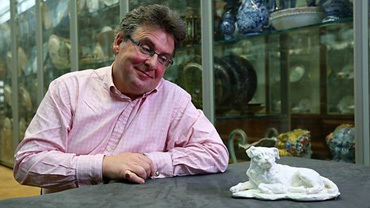 “The thing about Hogarth’s work is that he was self taught and self motivated. He was an artist interested in morals and behaviour who painted a realistic world as he saw it, finding humour even in the darkest places. “He held up a mirror to the London society of his day and works such as The Harlot’s Progress and The Rake’s Progress show just how ghastly parts of it were and in particular how hazardous for young women and children. 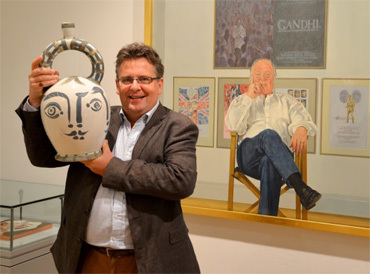 Remarkably, he is able to to entertain and interrogate through his work, just as Grayson Perry does today. 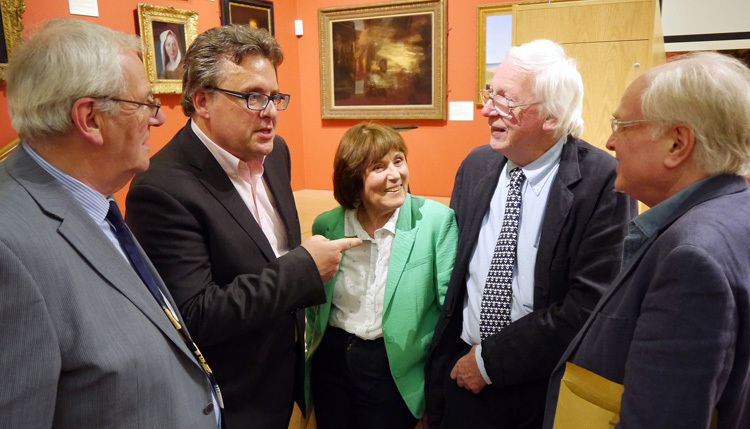 Of Leicester Society of Artists he says: “I was thrilled to be invited to be President. For me, the Annual Show of the Society has always been a treat to look forward to. Working free lance since 1993 has been successful for Lars. He has bookings into 2018 for his cultural tours and other work outside the UK. In Britain he delivers some 60 lectures a year for the National Trust, NADFAS, universities, museums and galleries plus many prestigious bodies interested in the arts. He continues to be in demand for radio and television shows – he looks set to be making a dozen appearances on the Roadshow over the next year. Meanwhile back home, his walls are not Yves Klein Blue. “More Lars Tharp yellow,’’ he laughs, reaching for his pot of paint.